There are a lot of important firsts in life. First step. First bike ride. First bike crash (into your little sister, in my case). You get the idea. Today, I added another first to my calendar: first time attending a Gluten Free Expo! And, according to my happily expanded belly, this was the tastiest first yet. The Gluten Free Food Allergy Fest took over San Diego's Town and Country Convention Center on May 3 and 4. And, although it was an adventure finding parking (are signs not gluten free? ), Mom and I couldn't be more excited for our first gluten free buffet, ahem event. So much so that I broke out the weird-card and posed in front of the welcome sign. Just call me the gluten free greeter! When we first walked in, we immediately snagged some sweet Glutino bags to hold all of the snacks we planned on snagging. Then, the feast began! The sheer amount of booths was intimidating in the best way possible. After all, the more booths, the more food! And although Mom and I adored all of the vendors who graciously stuffed our bags with gluten free goodies, coupons and merchandise, a few burned onto our hearts (and taste buds) for good. I'll be writing two blog posts because of the abundance of great food. 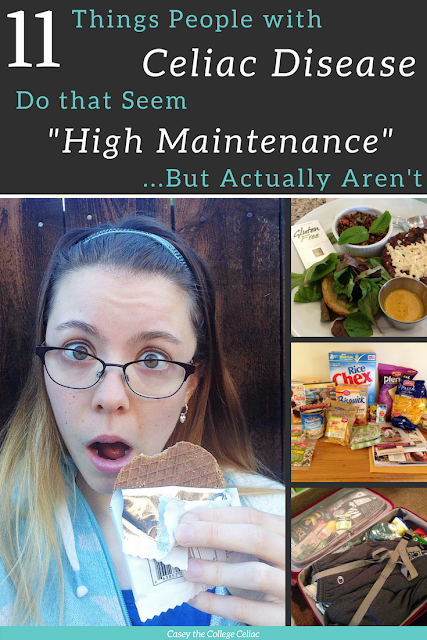 This one will focus on the best finds for meal replacements/additives. Next, will be all the snackage! 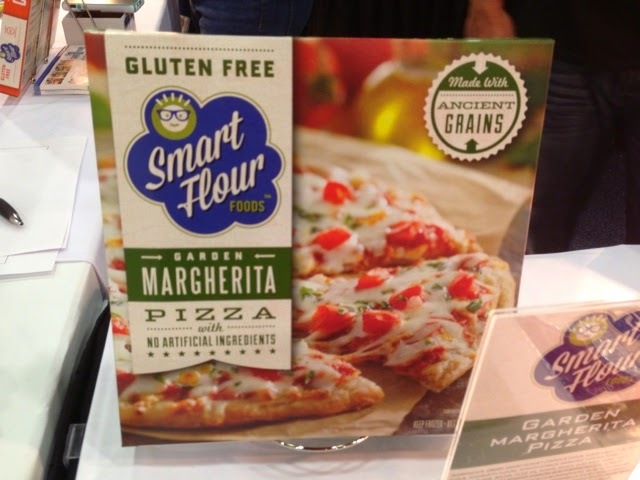 First, our favorite of the day: Smart Flour Food's gluten free Margherita Pizza. Oh my goodness. I think Mom and I just about had a heart attack when we dug into our first slice. I haven't tasted many pre-made gluten free pizzas, but this frozen-then-baked masterpiece shamed some of the fresh GF pizzas I've ordered at restaurants! They just launched these pizzas in October, so now is the time to request them in your favorite stores! They popped it in a mini pizza oven right before we arrived, and our taste buds swooned over the perfect blend of cheese, sauce, herbs and crispy crust. It's the perfect size for one or two meals (depending on your appetite) and I'm definitely buying a few to stick in my dorm fridge for cafeteria backup (or lazy pizza night cravings). 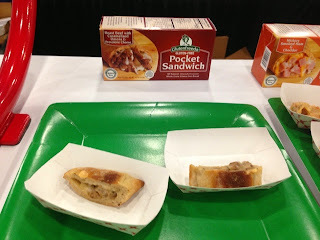 Next on our favorite savory products were Glutenfreeda's pocket sandwiches. 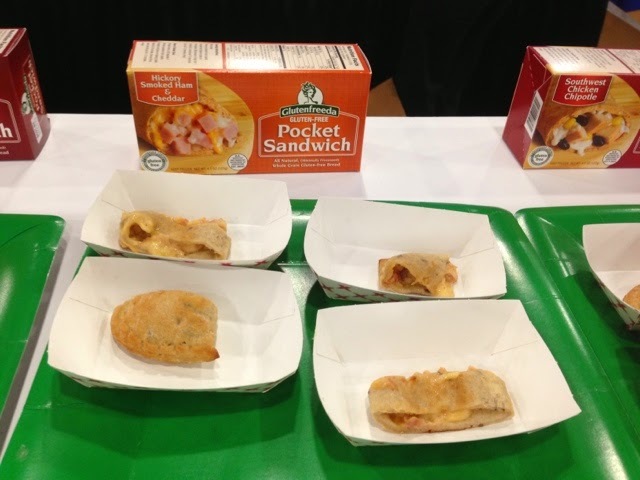 Even before diagnosis, I wasn't a hot pocket person, so I wasn't expecting much from my ham and cheddar sandwich. Boy was I wrong! In my mind, these pocket sandwiches are the new, improved cousin to the hot pocket. The crust is crisp and soft without being soggy. And an equal ratio of ham and cheddar, both extremely fresh and deliciously melted, sealed the deal. Even though she's not usually a fan of onions, my mom loved the roast beef with carmelized onion and provolone sandwich too! These are definitely joining my Smart Flour pizza in my dorm fridge next year! Next up are the tortillas I've been in love with since I first heard of Potapas. Tortillas made out of potatoes? Sign me up! I'm sensitive to corn and it doesn't agree with Mom either, so we've been on the search for a yummy, gluten free tortilla since my diagnosis last May! When I finally sunk my teeth into the potapa quesadillas they gave out as samples, it didn't disappoint! Gluten free tortillas tend to be dry and lack flavor, but these were soft and squishy. Although they tasted slightly of potatoes (duh! ), it wasn't overwhelming. I also love their size - they only have a six inch diameter, which is perfect for a loaded lunch or dinner! I can't wait to use these babies in my own quesadillas and wraps this summer! My mom and I are also always on the search for a newer, better bread product (until I master the art of baking homemade bread this summer). Mom discovered her soul mate in Kinnikinnick's bread. According to my Mom, her sample square was fluffy and moist. She really loved the texture, which seemed to mimic its gluten-filled cousins. 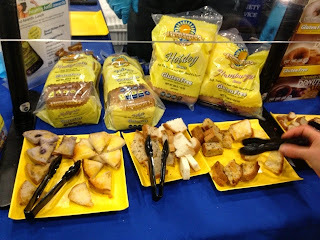 They had bagaels, breads, donuts, and more to try! I instead reached for the gluten free mini chocolate-covered donuts. 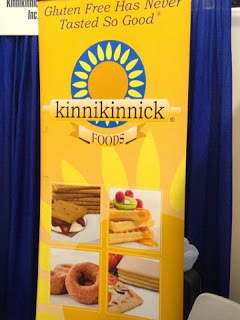 Although it was too sugary for my taste, I loved all the options that Kinnikinnick provided. 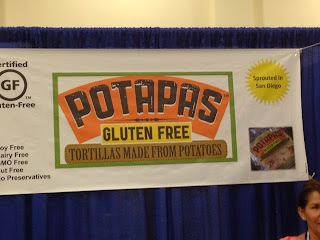 This was the first booth that we saw after Mom and I walked in and it screamed out the best part of the gluten free expo right away: variety! The menu they gave us! 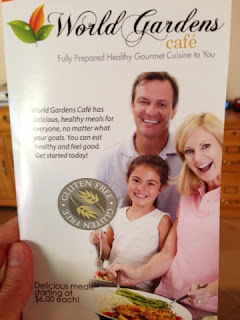 Finally, for those of you searching for a gluten free meal replacement beyond the typical fair, check out World Gardens Cafe. It delivers allergen-friendly meals for you to reheat at home. I also love that you can order different sizes (from 4 to 8 oz) depending on your weight loss/gain/maintain plans. World Gardens offers everything from Caribbean-Style Vegetable Chicken to Cajun Pepper Steak to Vegan Mac 'N' Cheese. As a sample, they offered their Vegetable Lasagna (free of gluten, dairy and soy). Call me a vegan! I couldn't even tell that it had been frozen and reheated, and I loved the mix of spinach, veggies and cheese. Unfortunately, our steamin' hot lasagna was so good that we devoured it before I could take a picture! By the time we left the Expo, my Mom and I each sported quite a haul. Even better than the products in our bags, though, are the relationships we formed with some new favorite food providers. 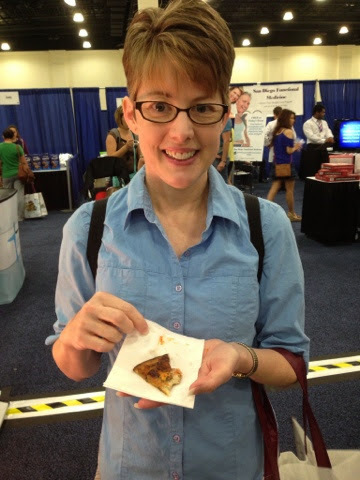 I loved the Fest for all of the gluten free goodies (I mean, food + free = fun! ), but I also loved meeting representatives of the companies who are working to make celiac disease less of a dietary death sentence. 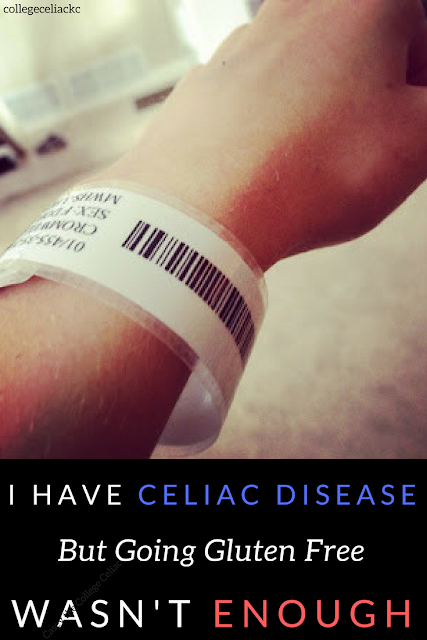 There are a lot of firsts in life and in celiac. 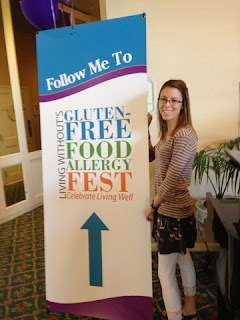 I can't thank the Gluten Free Food Allergy Fest enough for making my first expo experience a delicious, productive and inspiring adventure! 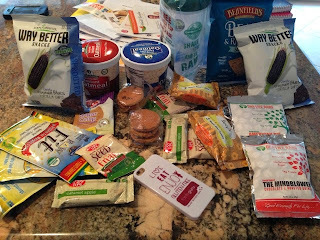 And my re-cap isn't over yet, so be on the lookout for my next post on the best new snacks from the Gluten Free Food Allergy Fest! Have you gone to an allergy event yet? What are your favorite new products? Comment below! Casey, how ironic that BOTH of us went to expos this weekend, on far ends of the country! Well, I mean I traveled TO Canada for mine, but still! You're a better blogger than me, I forgot to take pictures, I was too busy eating! Plus, I had too much stuff in my hands! This was my SECOND expo, and my favorite part was ALL THE SOFT BREAD! <3 and trying products that I always see, but are too cheap to buy/try without a guarantee I'll love it! Definitely! Super funny that we were both getting stuffed with gluten free goodies on different sides of the US! You'll have to fill me in on the goodies that you found and liked! And yes, the soft bread is a definite winner! And the "free"!!! A: WOW!! Is that really your mom? She looks so young!!! We have those kind of things in Holland, but not as big as in the states and not as much new stuff. But I always love to go once a year, just to walk among other celiacs, taste food I can actually eat (and not have to think twice or not eat it at all) and look at the brands. Plus... Free stuff! Hi, this is Sameer from Smart Flour. Great to meet you at the show and thanks for the review! Just one quick clarification - our frozen pizzas should be baked in an oven, and not microwaved. Please email me at sameer@smartflourfoods.com if you have any questions. Thanks again! The venue itself is intimate but very well-appointed. If you are in search of an event venue in this area, do yourself a big favor and contact the wonderful event coordinator here. You'll be glad you did.